The bill we wrote about yesterday to keep New Jersey in the Regional Greenhouse Gas Initiative (RGGI - pronounced "Reggie") was released yesterday, on a unanimous vote, from the Senate Environment and Energy Committee. There were few surprises. Environmentalists and clean energy advocates endorsed the legislation, while business organizations panned it. Bill Supporters: GreenFaith, Environment New Jersey, American Littoral Society, NJ Conservation Foundation, NJ Audubon, NJ Forestry Association, NJ League of Women Voters, NJ League of Conservation Voters, NJ Citizens Action, and the NJ Sierra Club. RGGI REDUX: Basically, the hearing testimony was a rerun of what was said last year when similar legislation passed through the Legislature before Gov. Chris Christie stomped it with his veto hammer. NJ Spotlight's Tom Johnson provides a summary of the meeting today in Lawmakers, Environmentalists Want NJ Back in Greenhouse Gas Initiative. You also can hear the entire committee meeting online here. Scott Needham, speaking for Efficiency First, an association of contractors who provide energy efficiency services, testified that, as a businessman who received a grant from the Department of Labor to train workers needed in the growing energy efficiency market, he was confused by the state's withdrawal from the regional program that provided funds to stimulate growth in that sector. (Scott's testimony runs from 38:24 to 40:21). Is RGGI a failed program that has not reduced greenhouse gases but has jacked up electric costs? 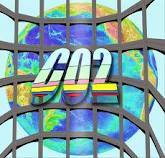 Or is it an evolving model for how other states, too, should be working to cut CO2 while boosting clean energy projects? Tell s what you think in the comment box below. If one is not visible, activate it by clicking on the tiny 'comments' link. EnviroPolitics. We track environmental/energy bills--from introduction to enactment.